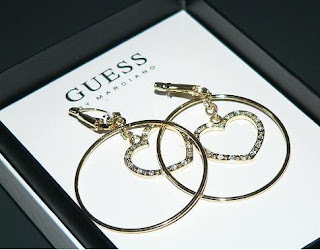 Another cute and nice product of GUESS. I don't see the reason why I need to elaborate more. The earring speaks for itself!! Selling for only RM128!! Hurry, while stock last! Email me at chomells@gmail.com today! The beautiful gorgeous jewelry are doubtlessly to enhance your self-confidence as well as make you stood out within the crowd.